Plus some pics from the past few weeks. The other day, I was bemoaning the fact that I hopped on the Instagram train a bit late and missed most of those photo challenges everyone used to do – I’m always talking about how I don’t take pictures enough, and a photo challenge would be the perfect thing to encourage me to snap more pics. Then, as if by magic, this black & white photo challenge started popping up all over the place (although this one seems to be mostly on Facebook, which…lame). So, I decided to participate…except I’m going to participate in blog form, instead of on Instagram (or more weirdly, Facebook). Side note: Is it weird that these things are referred to as “challenges”? I think so; yes. Taking 7 photos in 7 days is hardly a challenge…anyway, I digress. Here’s the challenge: “Seven days. Seven black and white photos of your life. No people. No explanation.” Okay…so it’s a wee bit pretentious, and not the most exciting “challenge” I’ve seen…those themed picture every day challenges were a lot more interesting (and actually somewhat of a challenge, I suppose). But I’ll take it…plus, since it’s so easy, I should be able to handle it without dropping out 3 days in. Here goes – I’ll be posting two photos today (one for yesterday, and one for today). This past weekend felt like THAT weekend…that one perfect fall weekend when the air is crisp, the sun is shining, and the leaves are the most beautiful bright shade of red. We managed to pack a lot of fun into the three-day weekend: a night out on the town seeing some live music with friends Thursday evening, a haircut and trip to Wegman’s for me on Friday afternoon, a visit to Bates Motel on Saturday night, and a relaxing, slow Sunday. 1. Fun with friends at the Queen. 3. Maple sugar cookies with some festive sprinkle action. 4. Sunday soup: roasted butternut squash with apple. 6. Best place on Earth. 7. Waiting room with a view. This week flew by, probably because I was off on Tuesday and had a lot of stuff going on at work to break up my days. This weekend is supposed to be stormy and brisk, so I plan on holing up with lots of coffee and maybe some hot cider cocktails. 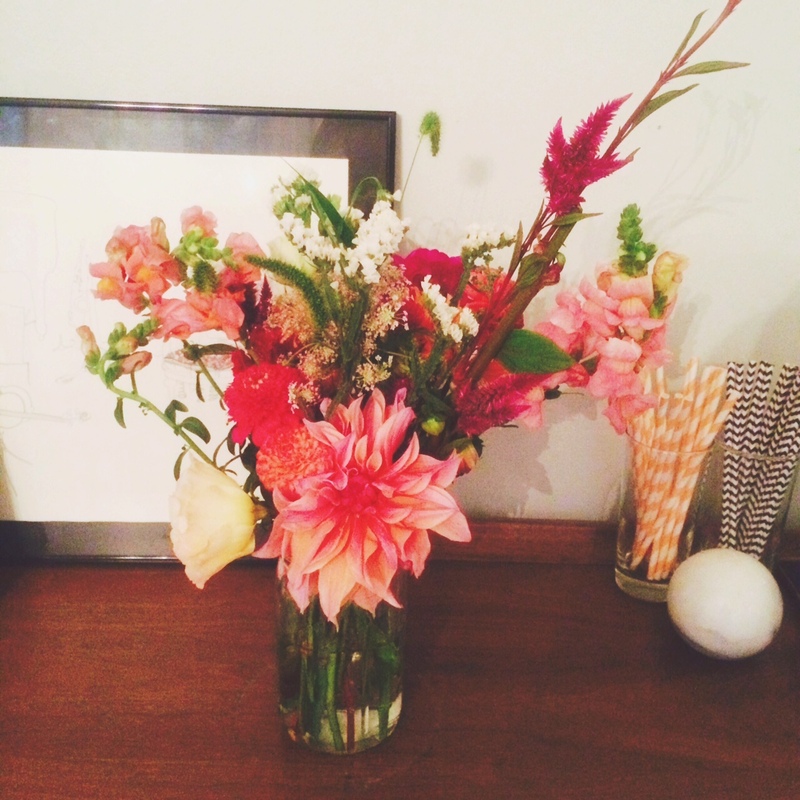 Have a lovely weekend, and stay safe if you’re in Hurricane Joaquin’s path. 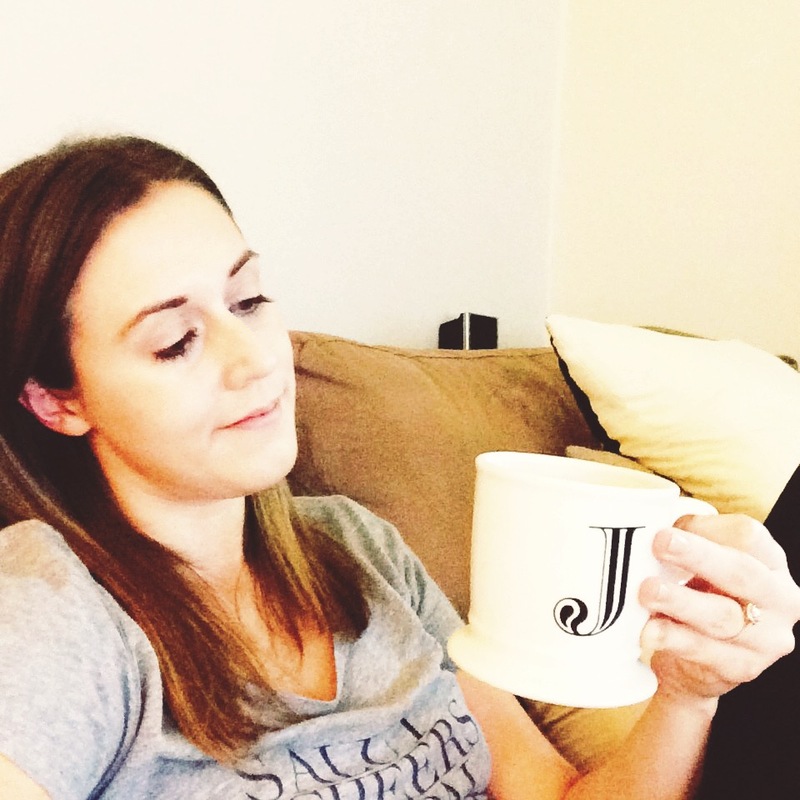 Enjoying a drizzly National Coffee Day from the comfort of my couch. 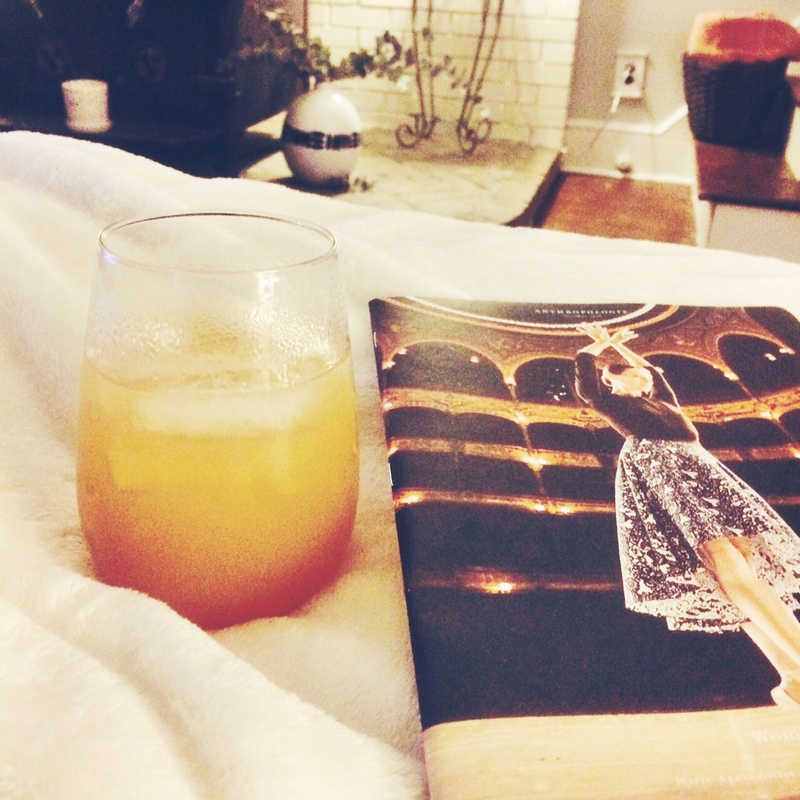 Autumn cocktail and Anthro catalog. The product of a flower arranging networking session at work. 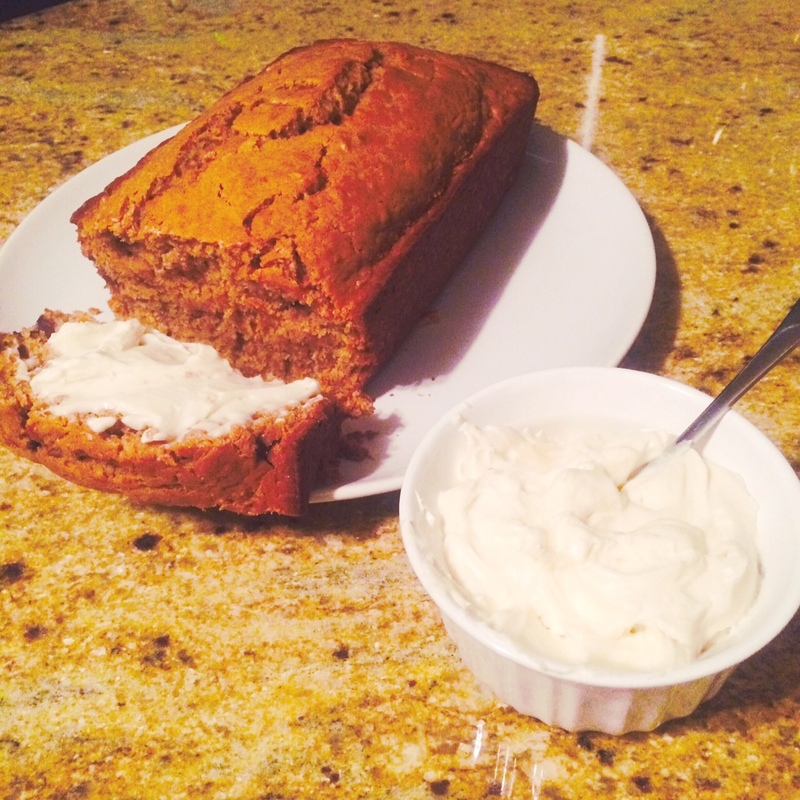 Apple cider carrot loaf with cream cheese frosting.